A five week adventure designed to expand your view of God & the world. Come willing to learn. Leave willing to invest everything for a greater cause. Do you wonder what it would be like to explore the most remote villages in Asia or experience Asian hospitality? Would you like to be stretched in new ways? Do you ever ask yourself how it would feel to be a missionary in a foreign country; to build lasting, cross-cultural relationships? Are you interested in seeing first hand what the Father is doing in Asia? There are times of stark clarity in your life, as well as times of confusion or boredom. Sometimes life makes sense. Other times it feels as if a story is playing out around you, but you're missing the script. What if you could step back for a short time, and gain a new perspective of God's heart, of His plan for you, and how much He loves all people? How would that new perspective change you, and the way you live? We believe it could change everything. How much are you willing to invest to gain a new outlook? While on a Charge trip, you'll be given the chance to experience these things, and more! The experiences given to you will bring new discoveries which can become stepping stones in your journey with the Father. We hope these new discoveries will propel and equip you to get involved in expanding His Kingdom and making Him famous everywhere. Our online application process will walk you through all the necessary steps getting to Asia. Make an account, choose your trip, and complete the rest of the application. Please contact us if you have any questions. Most of our contacts prefer smaller teams because it's easier for them to host, and it makes it easier to connect with locals. You might feel intimidated because you're in a new country, but locals will also be intimidated by you because you're a westerner. If there aren't enough openings on the same team for all your friends to travel together; sign up for a different trip with the same dates. You may not go to all the same places, but you will do orientation and debriefing together. The price of Charge isn't something you pay upfront. We estimate the cost by looking at the expense of visas, airline tickets, food, lodging, etc. Anything you pay before arriving in Asia is paying for your trip. You will need to bring some cash along to exchange into the local currency to cover living expenses while in Asia. The Charge Director will email that information to you before you leave for your trip. An Edge guy and an Ultra girl will accompany you unless it's an all guy or all girl team. 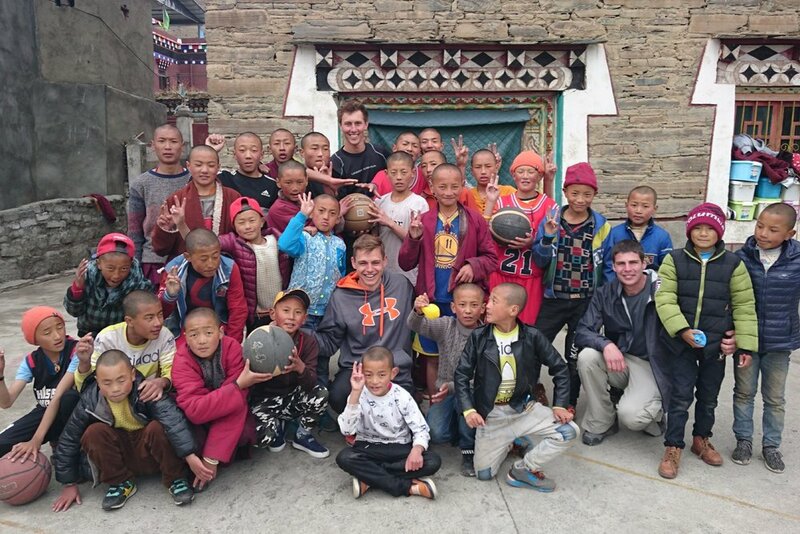 Because of their experience, they will help you navigate safely through Asia, be responsible for connecting with contacts, and lead the team spiritually. We expect that while you're here, you will be in situations that are not very comfortable for you. We are committed to walking with you as you learn to embrace these things and grow through them. We are all on a journey, and if we're willing, we can all grow together. Before going on your trip, you will spend a few days with the Charge Director. It is a great time to get acquainted with your team and team leader and start getting over jet lag. During this time there will be some missions training, team development activities, and other trip specific orientation. At the end of your trip, you will spend another few days with the Charge Director to wrap up your time in Asia. You will have the opportunity to share your stories and evaluate what all you've learned. We desire that you will return home with great excitement to serve God where ever he calls you next.